Bred by Don Egger. 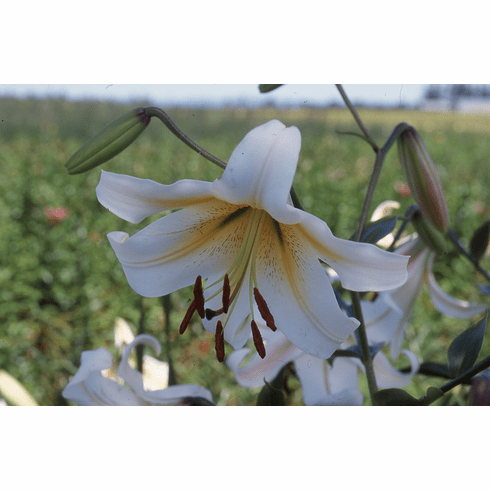 Introduced by B & D Lilies 1999. 'White Henryi' breeding clonal selection from strain along with 'Czar Nicholas'. Photo B & D Lilies.